Now, without his godly powers, the four-thousand-year-old deity must learn to survive in the modern world until he can somehow find a way to regain Zeus’ favour. But Apollo has many enemies – gods, monsters and mortals who would love to see the former Olympian permanently destroyed. 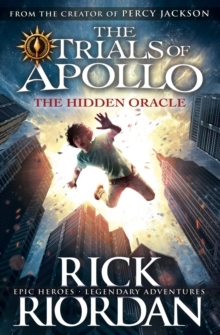 Apollo needs help, and he can think of only one place to go…an enclave of modern demigods known as Camp Half-Blood.